Theme Park Improv and special guest monologist Jon Hamm backstage at The Brava Theater at SF Sketchfest, January 28, 2017. Photo by Tommy Lau. Oscar Nunez, Janet Varney, Cole Stratton, Jessica Makinson, Michael Hitchcock and Rachel Dratch at Theme Park at SF Sketchfest, January 28, 2017. Photo by Tommy Lau. Cole Stratton and Jon Hamm at Theme Park at SF Sketchfest, January 28, 2017. Photo by Tommy Lau. Jessica Makinson and Michael Hitchcock at Theme Park at SF Sketchfest, January 28, 2017. Photo by Tommy Lau. Oscar Nunez and Rachel Dratch at Theme Park at SF Sketchfest, January 28, 2017. Photo by Tommy Lau. Michael Hitchcock, Oscar Nunez, Cole Stratton and Jessica Makinson at Theme Park at SF Sketchfest, January 28, 2017. Photo by Tommy Lau. Cole Stratton, Michael Hitchcock, Jessica Makinson, Rachel Dratch and Oscar Nunez at Theme Park at SF Sketchfest, January 28, 2017. Photo by Tommy Lau. Rachel Dratch, Michael Hitchcock, Oscar Nunez, Cole Stratton and Jessica Makinson at Theme Park at SF Sketchfest, January 28, 2017. Photo by Tommy Lau. Jon Hamm at Theme Park at SF Sketchfest, January 28, 2017. Photo by Tommy Lau. Janet Varney and Oscar Nunez at Theme Park at SF Sketchfest, January 28, 2017. Photo by Tommy Lau. Cole Stratton, Jessica Makinson, John Michael Higgins and Janet Varney at Theme Park at Bridgetown Comedy Festival, June 4, 2016. Photo by Deira Bowie. Cole Stratton, Janet Varney and John Michael Higgins at Theme Park at Bridgetown Comedy Festival, June 4, 2016. Photo by Deira Bowie. John Michael Higgins, Oscar Nunez and Janet Varney at Theme Park at Bridgetown Comedy Festival, June 4, 2016. Photo by Deira Bowie. Jessica Makinson and Janet Varney at Theme Park at Bridgetown Comedy Festival, June 4, 2016. Photo by Deira Bowie. Cole Stratton at Theme Park at Bridgetown Comedy Festival, June 4, 2016. Photo by Deira Bowie. Guest monologist Hutch Harris at Theme Park at Bridgetown Comedy Festival, June 4, 2016. Photo by Deira Bowie. Oscar Nunez, Jessica Makinson, Cole Stratton and Janet Varney at Theme Park at Bridgetown Comedy Festival, June 4, 2016. Photo by Deira Bowie. John Michael Higgins at Theme Park Improv at SF Sketchfest, January 16, 2016. Photo by Steve Agee. Theme Park Improv and special guest monologist Kevin Pollak backstage at The Brava Theater at SF Sketchfest, February 7, 2014. Photo by Tommy Lau. Theme Park Improv warms up at SF Sketchfest, February 7, 2014. Photo by Tommy Lau. Kevin Pollak at Theme Park Improv at SF Sketchfest, February 7, 2014. Photo by Tommy Lau. John Michael Higgins, Jessica Makinson and Ian Brennan at Theme Park Improv at SF Sketchfest, February 7, 2014. Photo by Tommy Lau. Janet Varney and Ian Brennan at Theme Park Improv at SF Sketchfest, January 16, 2016. Photo by Steve Agee. Theme Park improv backstage at Brava Theater at SF Sketchfest, January 16, 2016. Photo by Steve Agee. James Roday at Theme Park Improv at SF Sketchfest, January 16, 2016. Photo by Steve Agee. James Roday, Oscar Nunez, John Michael Higgins, Ian Brennan, Michael Hitchcock, Janet Varney and Jessica Makinson at Theme Park Improv at SF Sketchfest, January 16, 2016. Photo by Steve Agee. Jessica Makinson and Janet Varney at Theme Park Improv at SF Sketchfest, January 16, 2016. Photo by Steve Agee. 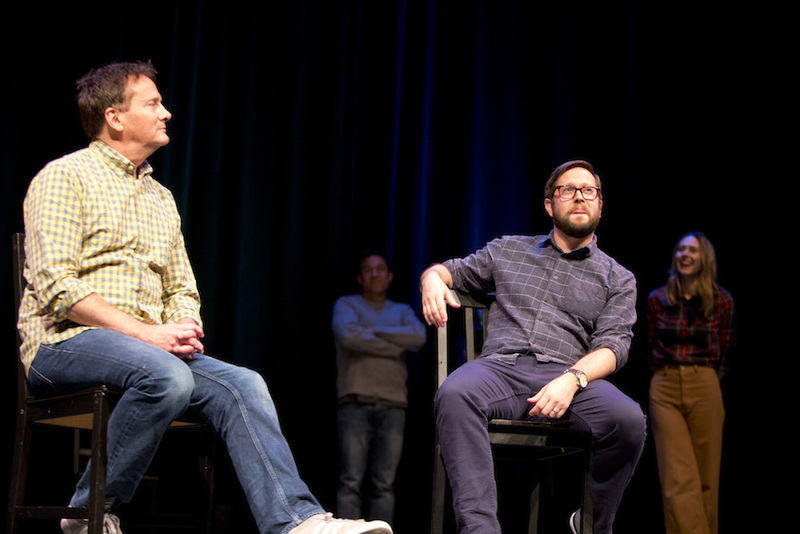 John Michael Higgins, Oscar Nunez and Jessica Makinson at Theme Park Improv at SF Sketchfest, January 16, 2016. Photo by Steve Agee. Cole Stratton, Ian Brennan, Michael Hitchcock, John Michael Higgins, Jessica Makinson and Janet Varney at Theme Park Improv at SF Sketchfest, February 7, 2014. Photo by Tommy Lau. Michael Hitchcock, John Michael Higgins, Rachel Dratch and Ian Brennan at Theme Park Improv at SF Sketchfest, February 7, 2014. Photo by Tommy Lau. Michael Hitchcock, Janet Varney and John Michael Higgins at Theme Park Improv at SF Sketchfest, February 7, 2014. Photo by Tommy Lau. Rachel Dratch, Janet Varney, John Michael Higgins, Ian Brennan and Cole Stratton at Theme Park Improv at SF Sketchfest, February 7, 2014. Photo by Tommy Lau. Jessica Makinson and Cole Stratton at Theme Park Improv at SF Sketchfest, February 7, 2014. Photo by Tommy Lau. Rachel Dratch, Michael Hitchcock, Janet Varney and Cole Stratton at Theme Park Improv at SF Sketchfest, February 7, 2014. Photo by Tommy Lau. Theme Park Improv takes a bow at Theme Park Improv at SF Sketchfest, February 7, 2014. Photo by Tommy Lau. Guest monologist Natasha Leggero at Theme Park Improv at Bridgetown Comedy Festival, May 3, 2013. Photo by Nathan Sanborn. Cole Stratton at Theme Park Improv at Bridgetown Comedy Festival, May 3, 2013. Photo by Nathan Sanborn. 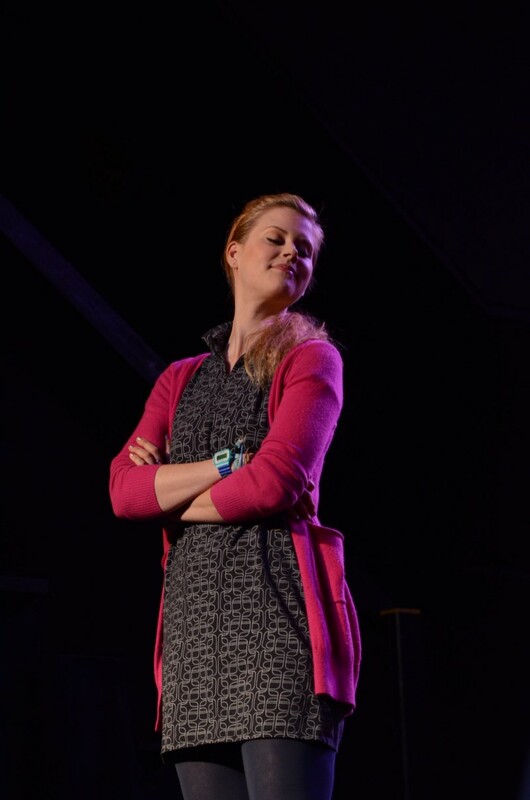 Janet Varney at Theme Park Improv at Bridgetown Comedy Festival, May 3, 2013. Photo by Nathan Sanborn. 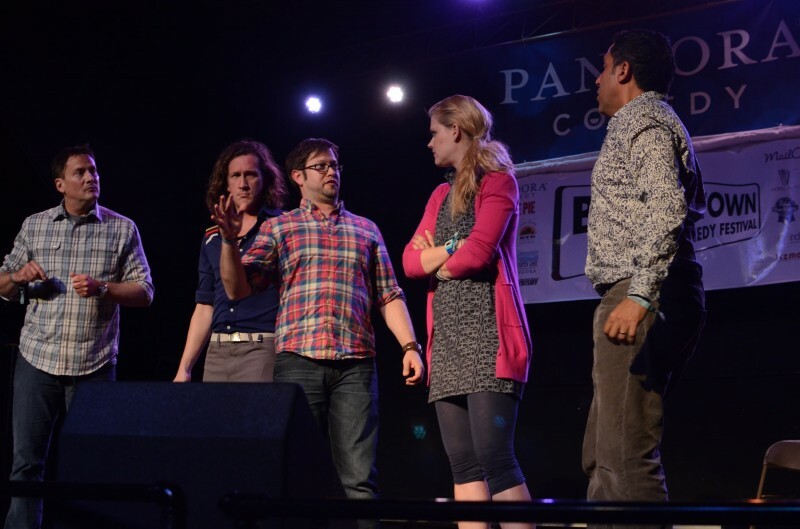 Michael Hitchcock, Ian Brennan, Cole Stratton, Janet Varney and Oscar Nunez at Theme Park Improv at Bridgetown Comedy Festival, May 3, 2013. Photo by Nathan Sanborn. 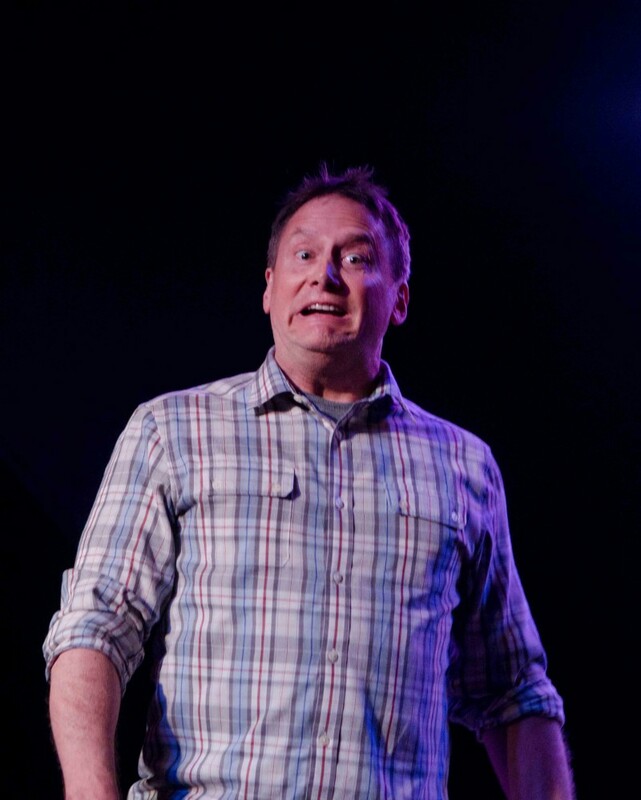 Michael Hitchcock at Theme Park Improv at Bridgetown Comedy Festival, May 3, 2013. Photo by Nathan Sanborn. Ian Brennan, Michael Hitchcock, Cole Stratton, Oscar Nunez and Janet Varney at Theme Park Improv at Bridgetown Comedy Festival, May 3, 2013. Photo by Nathan Sanborn. Theme Park Improv and special guest monologist Erinn Hayes backstage at The Eureka Theater at SF Sketchfest, February 9, 2013. Photo by Jakub Mosur. Erinn Hayes at Theme Park Improv at SF Sketchfest, February 9, 2013. Photo by Jakub Mosur. Erinn Hayes, Oscar Nunez, Simon Helberg, Michael Hitchcock and Cole Stratton at Theme Park Improv at SF Sketchfest, February 9, 2013. Photo by Jakub Mosur. Michael Hitchcock and Rachel Dratch at Theme Park Improv at SF Sketchfest, February 9, 2013. Photo by Jakub Mosur. Janet Varney and Simon Helberg at Theme Park Improv at SF Sketchfest, February 9, 2013. Photo by Jakub Mosur. Michael Hitchcock and Janet Varney at Theme Park Improv at SF Sketchfest, February 9, 2013. Photo by Jakub Mosur. Rachel Dratch, Michael Hitchcock, Janet Varney and Simon Helberg at Theme Park Improv at SF Sketchfest, February 9, 2013. Photo by Jakub Mosur. Janet Varney, Jessica Makinson, Cole Stratton, Simon Helberg, Michael Hitchcock and Oscar Nunez at Theme Park Improv at SF Sketchfest, February 9, 2013. Photo by Jakub Mosur. Theme Park Improv and special guest monologist Bob Odenkirk backstage at Marines' Memorial Theatre at SF Sketchfest, February 3, 2012. Photo by Ameen Belbahri. 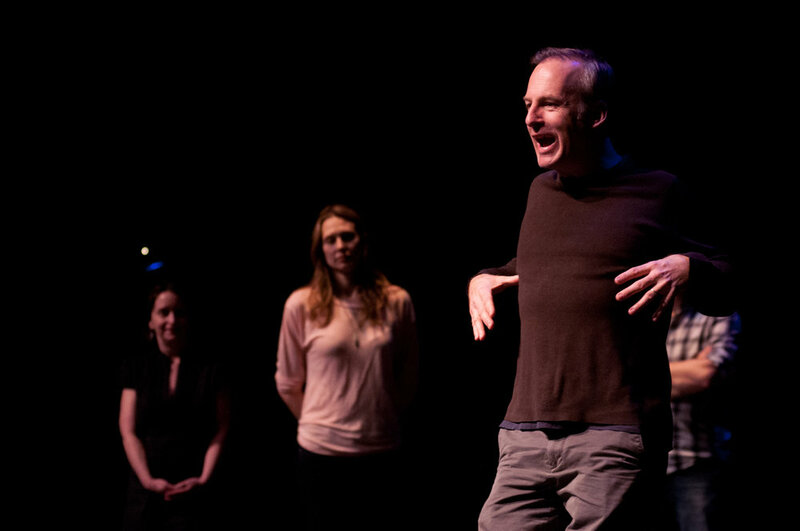 Bob Odenkirk at Theme Park Improv at SF Sketchfest, February 3, 2012. Photo by Ameen Belbahri. Michael Hitchcock and Janet Varney at Theme Park Improv at SF Sketchfest, February 3, 2012. Photo by Ameen Belbahri. Michael Hitchcock, Janet Varney, Cole Stratton, Jessica Makinson, Oscar Nunez, Rachel Dratch and Simon Helberg at Theme Park Improv at SF Sketchfest, February 3, 2012. Photo by Ameen Belbahri. Michael Hitchcock and Cole Stratton at Theme Park Improv at SF Sketchfest, February 3, 2012. Photo by Ameen Belbahri. Simon Helberg at Theme Park Improv at SF Sketchfest, February 3, 2012. Photo by Ameen Belbahri. Jessica Makinson, Oscar Nunez, Rachel Dratch and Michael Hitchcock at Theme Park Improv at SF Sketchfest, February 3, 2012. Photo by Ameen Belbahri. Cole Stratton, Jessica Makinson, Janet Varney, Simon Helberg and Oscar Nunez at Theme Park Improv at SF Sketchfest, February 3, 2012. Photo by Ameen Belbahri. Jessica Makinson and Oscar Nunez at Theme Park Improv at SF Sketchfest, February 3, 2012. Photo by Ameen Belbahri. Oscar Nunez, Rachel Dratch and Michael Hitchcock at Theme Park Improv at SF Sketchfest, February 3, 2012. Photo by Ameen Belbahri. Theme Park Improv backstage at The Eureka Theatre at SF Sketchfest, January 23, 2011. Photo by Tommy Lau. Theme Park Improv warms up backstage at The Eureka Theatre at SF Sketchfest, January 23, 2011. Photo by Tommy Lau. Janet Varney and Jessica Makinson at Theme Park Improv at SF Sketchfest, January 23, 2011. Photo by Tommy Lau. Michael Hitchcock, Simon Helberg and Cole Stratton at Theme Park Improv at SF Sketchfest, January 23, 2011. Photo by Tommy Lau. Cole Stratton and Janet Varney at Theme Park Improv at SF Sketchfest, January 23, 2011. Photo by Tommy Lau. Danny Pudi at Theme Park Improv at SF Sketchfest, January 23, 2011. Photo by Tommy Lau. Simon Helberg, Danny Pudi, Oscar Nunez, Cole Stratton, Jessica Makinson, Janet Varney and Michael Hitchcock at Theme Park Improv at SF Sketchfest, January 23, 2011. Photo by Tommy Lau. Danny Pudi, Simon Helberg, Janet Varney, Jessica Makinson and Cole Stratton at Theme Park Improv at SF Sketchfest, January 23, 2011. Photo by Tommy Lau. Theme Park Improv backstage at The Eureka Theater at SF Sketchfest, January 29, 2010. Photo by Ameen Belbahri. Rachel Dratch at Theme Park Improv at SF Sketchfest, January 29, 2010. Photo by Ameen Belbahri. Janet Varney at Theme Park Improv at SF Sketchfest, January 29, 2010. Photo by Ameen Belbahri. Rachel Dratch and Jessica Makinson at Theme Park Improv at SF Sketchfest, January 29, 2010. Photo by Ameen Belbahri. Rachel Dratch and Cole Stratton at Theme Park Improv at SF Sketchfest, January 29, 2010. Photo by Ameen Belbahri. Edie McClurg and Danny Pudi at Theme Park Improv at SF Sketchfest, January 29, 2010. Photo by Ameen Belbahri. Jessica Makinson at Theme Park Improv at SF Sketchfest, January 29, 2010. Photo by Ameen Belbahri. Janet Varney and Oscar Nunez at Theme Park Improv at SF Sketchfest, January 29, 2010. Photo by Ameen Belbahri. Danny Pudi at Theme Park Improv at SF Sketchfest, January 29, 2010. Photo by Ameen Belbahri. Edie McClurg, Oscar Nunez, Janet Varney, Jessica Makinson and Danny Pudi at Theme Park Improv at SF Sketchfest, January 29, 2010. Photo by Ameen Belbahri.